Crude oil prices are a matter of demand and supply as well as politics. Crude oil is the most heavily traded commodity in the world, with the futures listed in the New York Mercantile Exchange serves as the benchmark in international pricing. These futures trading in the NYMEX are for delivery in the United States. Therefore future prices are most sensitive to demand in the world's largest economy in addition to global consumption trend. The United States is the world's largest crude oil consumer. Though its production is only second to Saudi Arabia, the country still depends heavily on omports to satisfy the demand. In 1999, its domestic crude oil output was 5,925 million bpd while net imports reached 8,478 million bpd. Crude oil futures are further influenced by the balance of oil refinery products. In the summer driving season, traditional marked by the Memorial Day, gasoline consumption will peak and affect the oil prices directly. In winter, the level of heating oil will play a major role instead. 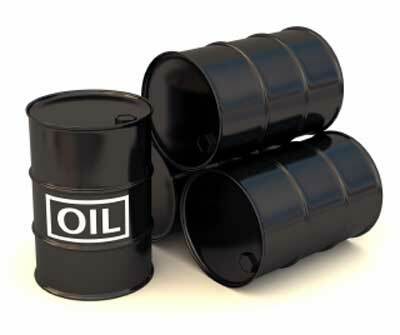 As a proxy to measure the demand and supply of oil procucts, market will monitor the weekly stock survey publish by the American Petroleum Institute and the Department of energy. Founded in 1960, the OPEC now comprises of 11 nations. Its objective is to coordinate and unify petroleum policies among member countries. Their output is crucial to oil price as only these gifted countries possess the spare capacity to produce more if the want. However, the cartel saw little success in manipulating the prices in history, mainly because a handful of oil-rich nations were pumping more oil when the cartel wanted to limit the supply. In 1998, the supply side saw a breakthrough as Mexico. Norway and Oman joined forced with the OPEC to lower their production in a bid to save the oil price from falling below $ 10 a barrel. Oil price as a result tripled in a year and brings the new output bloc. bind with mautual trust, to the international front stage. Figures in 1998 shown that OPEC and Mexico contributed almost 60 percent of total oil imports in US.